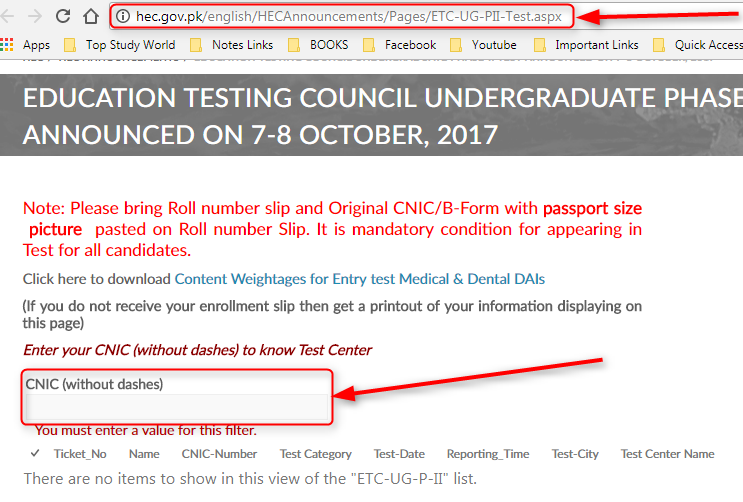 There are many Pakistani students who applied for HEC Entry Test, but they haven't got the roll number slip due to couple of reasons. Note: If you are applying for Phase-II, then you have to wait for some time. The tentative date for Test is 7th and 8th October 2017. Roll Number Slips will be uploaded one week before the test. The most common reason is that their address is located in village where carriers are facing difficulty in delivering the ETC Roll Number Slips. Thanks to HEC, an official solution has been made public where students can write their CNIC number or B-Form number to see the roll number slip and take the exams without any problems for print out in a hard copy. Now print it out and put a passport size picture on roll no slip. Go here and write your CNIC or B-Form number. Print it out and paste a passport picture of you . Yep, this page. Do you know? HEC has made this test free of cost, and the biggest advantage is that it can be used to take admission more than 41 universites. The same like many other entry tests, a calculator is not allowed. Total MCQs are 120, and the time would be 150 minutes. Moreover, the entry test dates may be on 12th, or 13 August. Many students are facing problems because ETC hasn't released any syllabus unlike MDCAT and NUMS, but it is written in the FAQs that the syllabus would be whole book of Pubjab Textbook. It is worth mentioning that this test will be valid for 2 years. It means if you get high marks, you can apply the next year when the merit may be low. It may be useful for most of the students. Like other tests which are valid for one year only. 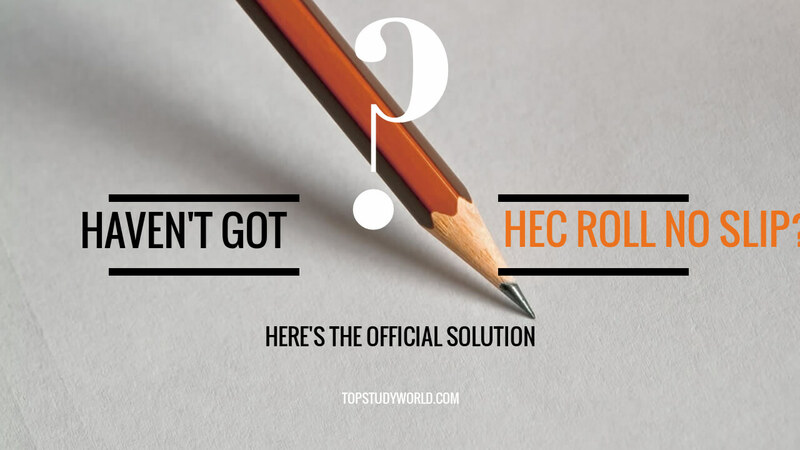 Are you worried because you haven't got your HEC (ETC) Roll Number Slip? Now it is not the problem anymore! See here the solution!